Johns Hopkins University Press, 9780801880766, 416pp. The birth of an academic discipline is a rare event. Even more extraordinary is academia's acknowledgment that spirituality has scholarly as well as personal dimensions. Inquiry and dialogue are the essence of this new discipline, as it paves the way toward a deeper understanding of what it means to be human within the Christian faith. 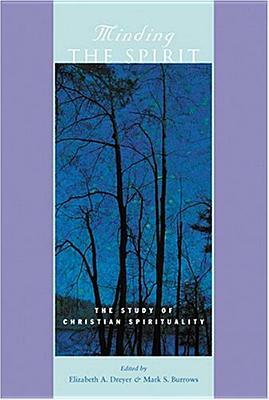 The twenty-five essays in this volume, originally published in either the "Christian Spirituality Bulletin" or "Spiritus: A Journal of Christian Spirituality," offer groundbreaking explorations of Christian spirituality. Arranged under five broad headings, these essays create an insightful dialogue on the questions, methods, and critical approaches implemented by the discipline's top scholars. Topics addressed include the particular intellectual and methodological challenges presented by spirituality as an academic discipline, the self-implicating nature of the study of spirituality, historical perspectives, theological implications, healing as a function of spirituality, and the relationship between aesthetics and spirituality--art and spirit. Scholars working on either broad or focused themes in spirituality will benefit from this clear and accessible presentation of the salient aspects of the discipline. In their insight and historical and methodological content, these essays provide valuable tools for students and teachers of spirituality and related fields, in their insight and historical and methodological content. This volume speaks to all who practice and study spirituality from any religious or secular perspective, encouraging reflective and open dialogue with one of humanity's major religious traditions.